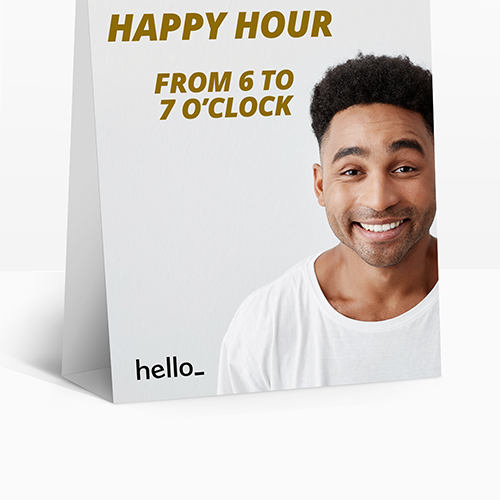 Any promotion at your restaurant deserves to be seen! 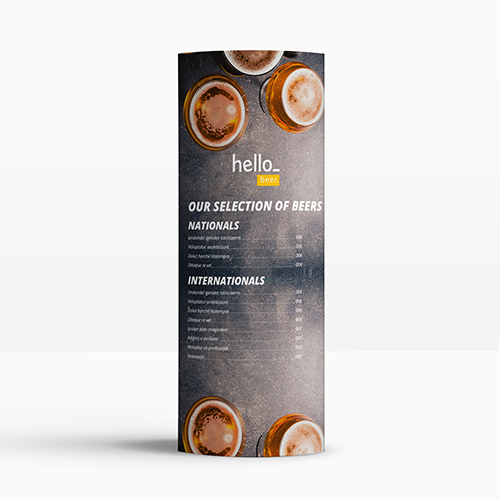 Helloprint's Table Talker Menus create a unique display on any table, ensuring your tasty meals and offers will not be missed. 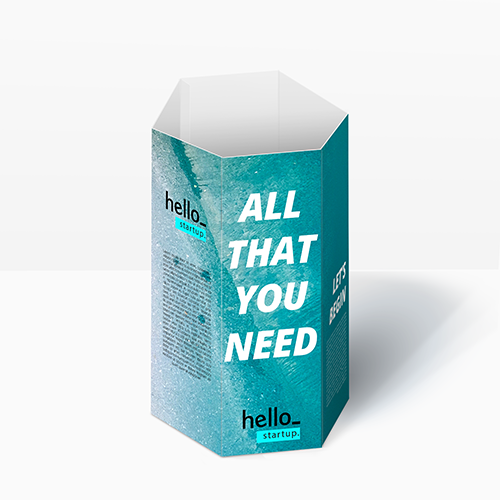 With various styles and shapes to choose from, easily order these handy menus that'll surely catch a customer's eye. A table card is a paper sheet. This sheet can be folded through folding creases into your desired shape for your table cards. 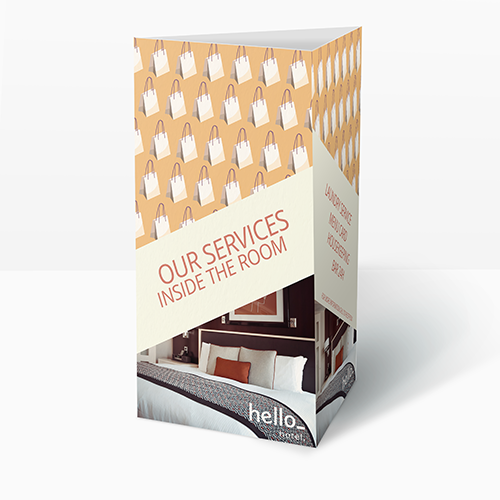 For the delivery of your table cards we use multiple carriers. Because of the highest reliability, in most cases we use UPS or DPD. The table cards that is chosen in most cases can be selected via our website. 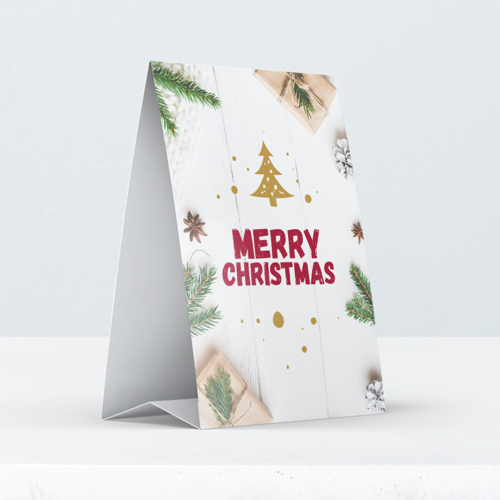 Will my Table cards by delivered being folded? No, the Table cards will be delivered unfolded. The Table cards do have folding creases so you can fold them very easily. 300 gsm Silk MC: This material is especially suited to premium products. The thick, high quality and smooth material has a matte appearance. Are my Table cards printed on both sides? No, the Table cards are printed on one side. They are folded so the inner half will not be in sight.